150PS 320d version offers lively performance, good fuel economy and rewarding handling. Reports of turbo failures on 320D 150PS models. 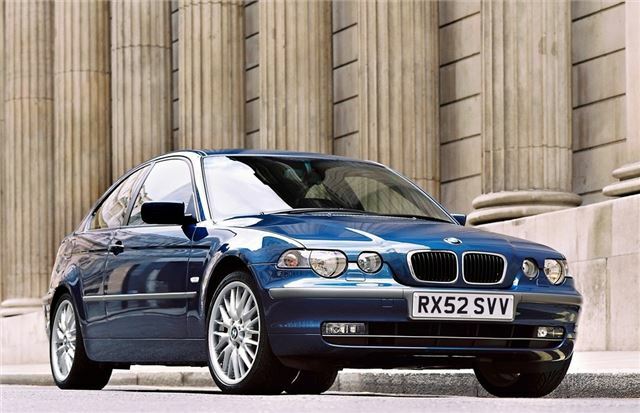 2001-2005 BMW 3 Series Compact subject to Takata airbag recall in the UK. But there was something about it. Could it have been the Ambra Ochre pearlescent paint that seemed to change colour in the light? Could have been the way the chunky 16in alloys filled the wheel arches so perfectly? Could it have been the quality of the fit and finish? And when you looked at it again, could it have been the shape of its face? What is it with the Germans these days that makes them so keen to give a car eyes that seem to implore you to fall for it? Beautiful smooth 6 cylinder power never fails to delight every time i drive it, Its value is priceless to me.